Retail price of new $737. Our used price is $415 Read more.. Racing speed made simple. 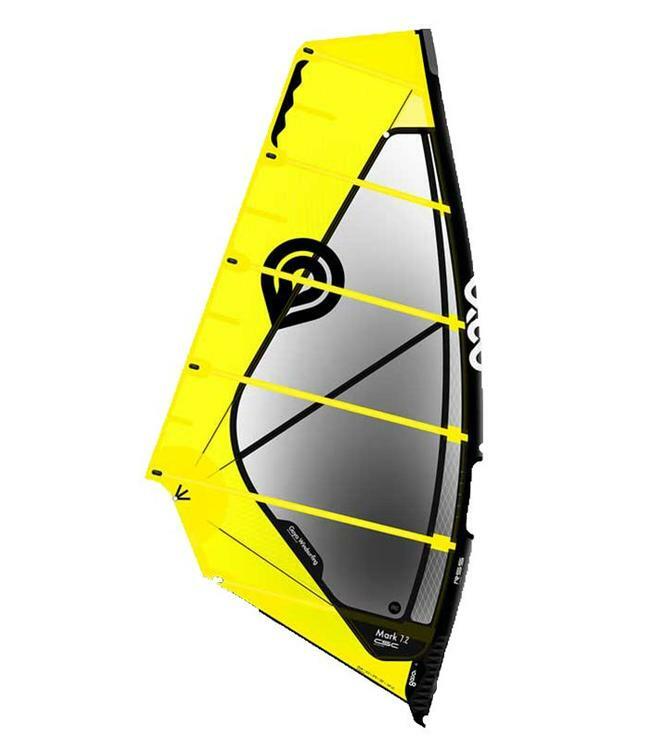 This camless freerace sail is quick to rig and easy to tune. And it is lightning fast. Big results from small refinements on the Mark for 2018. Holding the same luff and boom lengths from last season, the change in Mark is in the heart of the sail, the profile, twist and release. A little more shape forward, a smooth transition, and a smooth and clean release, particularly in the leech area just above the boom. The Mark has a more neutral feel when powered up. When that big gust hits, the sail stays settled. A big plus in control. We have updated the material in the tack and foot of the sail with a stronger yarn configuration in the laminate, and also we’ve made this material in the body color of the sail for more visual impact. 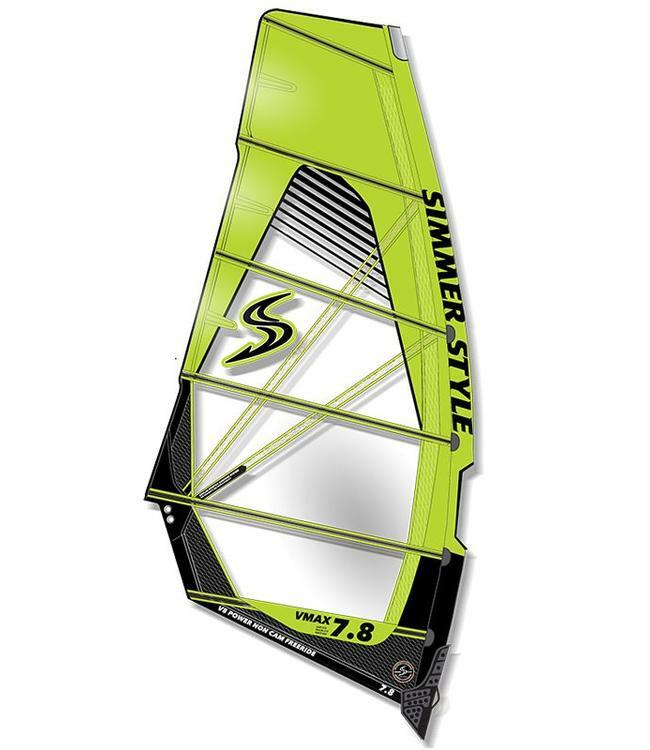 New combination nylon/composite leech mini battens stabilize the leech trailing edge making the sail quieter in the hands and also more durable against material breakdown caused by an excessively fluttering leech.